Both the teams played in the Euro 2016 qualifying, and Slo was able to qualify for the Euros as they finished second in the group but Georgia, on the other hand, was not able to find the same fate as they finished fifth in their group. Both teams meet so as to get back in International form before the Euros. 27th May 2016 at 21:00 (IST). Slovakia played in Group C of the qualifying stages of the Euro 2016 and was able to finish second with 22 points in the ten games they played as they won seven, drew one and lost two, they had Spain, Ukraine, Belarus, Luxembourg and Macedonia alongside them in the group. Spain finished first in the group with 27 points and Ukraine finished third with 19 points. Slovakia is a very strong team with players like Martin Skrtel, who plays in the Barclays Premier League club Liverpool and Marek Hamsik who plays in the Serie A club Napoli and these are some of the names of their star-studded squad. In their last four International Friendlies they have won two and drew two, they won against Switzerland by 3-2 at home, against Iceland by 3-1 at home, drew against Latvia by 0-0 and against Ireland by 2-2. Miroslav Stoch opened the scoring in the 14th minute for Slovakia and then through two penalties one in the 21st minute. 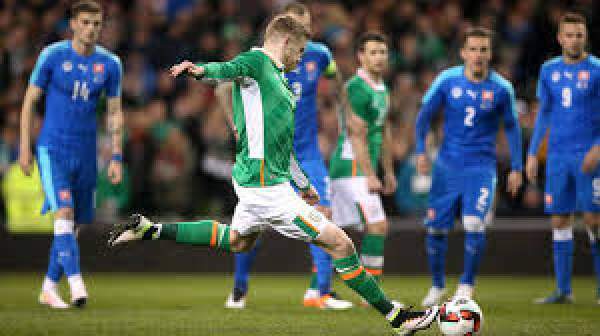 The second in the 24th minute Ireland pulled things back but then in the 45th minute through an own goal in the 45th minute Slovakia made it 2-2 and the match ended in a draw. Georgia played in the Group D of the Euro 2016 qualifying stages and finished fifth with 9 points on the table with three wins and seven losses and failed to qualify for the finals of the Euro. They have lost one and drew two of their last three International Friendlies, they lost against Estonia by 3-0, drew against Albania by 2-2 and against Kazakhstan by 1-1. Kozacik, Pekarik, Skrtel, Salata, Svento, Sabo, Gregus, Sestak, Hamsik, Stoch, Vittek. Revishvili, Lobzhanidze, Kashia, Amisulashvili, Navalovski, Aburjania, Kankava, Qazaishvili, Anandize, Okriashvili, Chanturia.